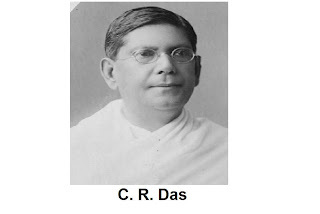 C. R. Das (Chittaranjan Das) was a big figure in the freedom movement as well as a famous Bengali lawyer. He was born in 1870 and died in 1925. He was from Das family of Dhaka. Bhuban Mohan was the father of C. R. Das. Some of his relatives Satish Ranjan Das, Sudhir Ranjan Das, Lady Abala Bose and Sarala Roy. His the eldest grandson son Sidhartha Shankar Roy and his grand daughter Manjula Bose was Justice. He was educated in U.K. Das was a leading figure in North East India during the Non-Cooperation Movement (Fro ban on British clothes). He founded the Swaraj Party with Motilal Nehru and Huseyn Shaheed Suhrawardy, to express his immoderate opinions. In 1925, C. R. Das’s health began to fail and on 16th June 1925, with a severe fever, then he died.